Please enlarge the image to read a few chart details. On April 18, 2016 Pluto's Rx Station is exact in the Eastern time zone at 3:25:38 am during an Hour of the Sun which is apex of a Thor's Hammer pattern that has the Jupiter-Saturn square at its base (listed on the chart, lower right). As a midpoint picture, social change and boasting are prominent with Sun-Jupiter-Saturn and we may expect the usual contention between progressives and conservatives. 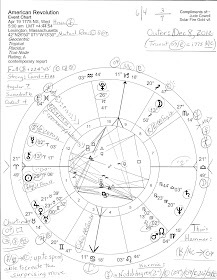 Moon, Mercury, and Pluto (the wealthy gold-hoarder and power-grabber) with Pluto stationing just within the 12th house of Politics, Karma, Self-Undoing, Large Institutions, Backroom Deals, and Hidden Enemies. Pluto Stations at 18 Capricorn: "The Union Jack Flies from a British Warship" which to me denotes war (which we have plenty of thanks to neocons and their foreign directors), POLITICAL POWER and strong-armed paternalism, and financially the City of London (the Rothschilds--now in Reno, Nevada!) But it also relates closely to 1993, Bill Clinton's presidency (NAFTA, etc), and the Great Conjunction/s of Uranus and Neptune at or near that degree (with Bill the Democratic Party fully embraced Corporatism). 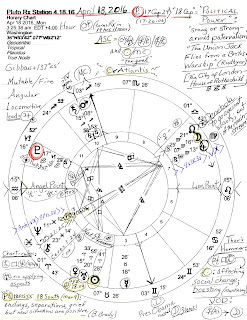 So with transit Pluto now stronger at its station on Tax Day 2016, the Uranus-Neptune midpoint is activated by the hidden claws of Pluto and we have potentials for: abandonment of resistance; great losses; calamities and catastrophes (Ebertin) and this may be telling us about a financial collapse, US currency devaluation (Venus-Uranus in 2nd house: disrupted finances), a credit downgrade, or other financial chaos manipulative Pluto can bring. 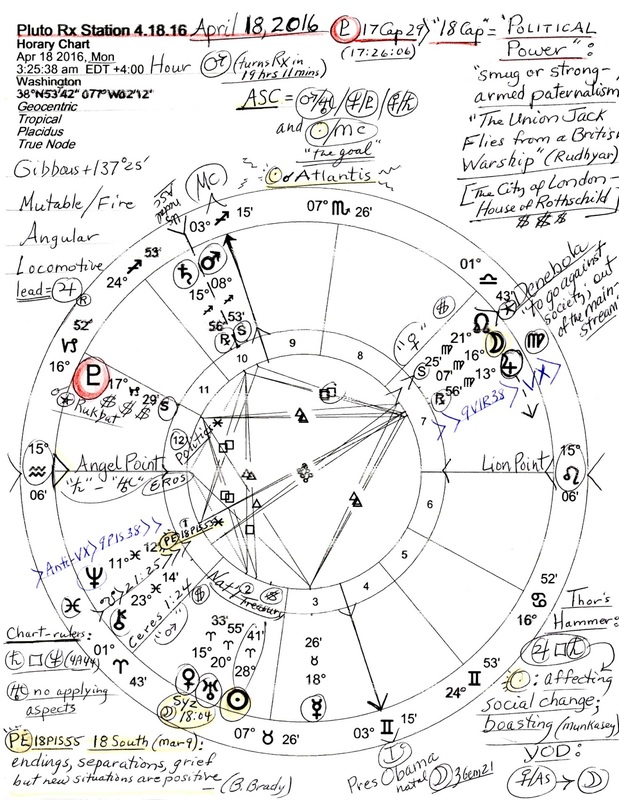 Also noted on the chart in 10th house: the US natal Ascendant (July 4, 1776 5:09 pm LMT) with the transiting 'death axis' pair of planets upon it, Mars-Saturn, alerting us to a need to economize and/or difficult advancement. Since it's a transiting midpoint picture its effects are only temporary yet you see that conjunct warring Antares is Mars @8Sag53 stationing as well and turned Rx on April 17, 2016--and wherever there is Mars-Pluto action there are force, weaponry, and upheaval. And Mars as apex of a dynamic T-Square pattern is not comforting for the opposition between the inflationary spendthrift pair, Jupiter and Neptune (which also denote political conflicts), point toward Mars and gives the entire shebang a frosting of unreliability and market speculation. Yet there are those determined toward success and they are signified by Jupiter @13Virgo Rx but still a high-powered executive. 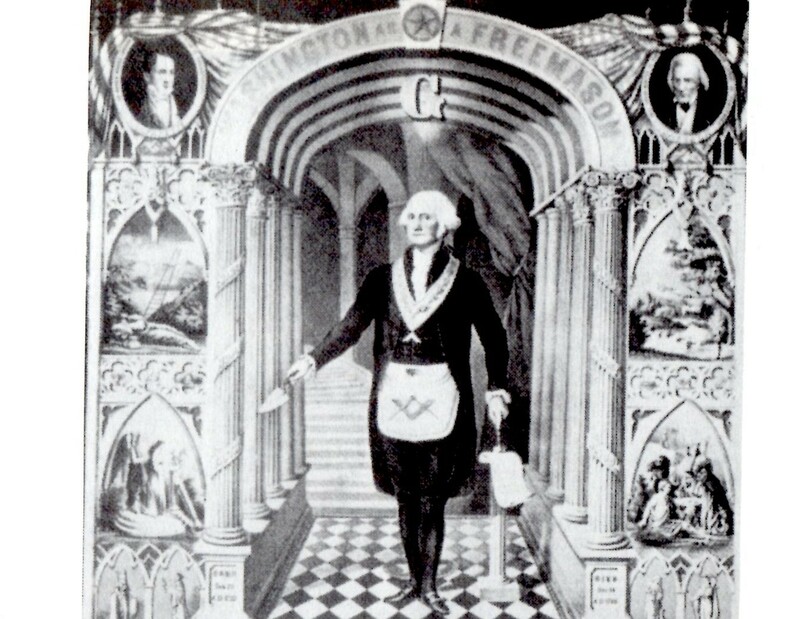 Jupiter can play the roles of banker, guru, corporatist, broadcaster, the general, and politician and in recent charts has often represented President Obama as Commander-in-Chief. 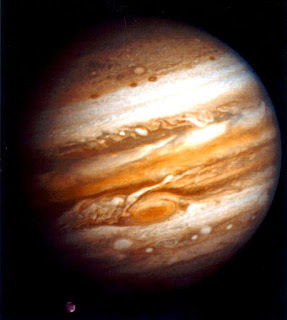 We'll see how things work out as Jupiter plays engine of the Locomotive pattern as April 2016 and Tax Day approach. Now I shall publish this fuss and hope my ISP can handle it without disconnecting me!